It will choose creations made using its Lens Studio tool. Snapchat plans to give its AR Lens offerings a boost by feature submissions from its users. In late March, you'll start seeing Lenses with their creators' names underneath their titles mixed with Snapchat's own and sponsored options. 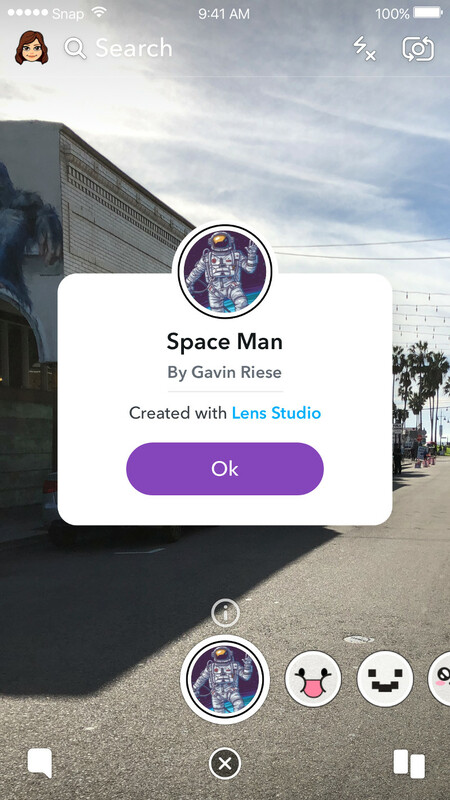 According to Mashable, Snapchat will feature some of the Lenses people created using the company's Lens Studio tool. It's unclear what qualities will make Snap choose a particular Lens -- at the very least, it most likely has to look good and well-made -- but interested creators will have to opt into Snap's "Creator Boost" program if they want the company to consider their submissions. Mashable says Lens Studio has received 30,000 submissions since its launch in December, so Snapchat will have a huge number of Lenses to choose from if most creators choose to opt in. They won't get paid even if Snapchat chooses to highlight their creation, though -- good thing the app has 187 million daily active users that'll make that good ole "exposure as compensation" worth it.